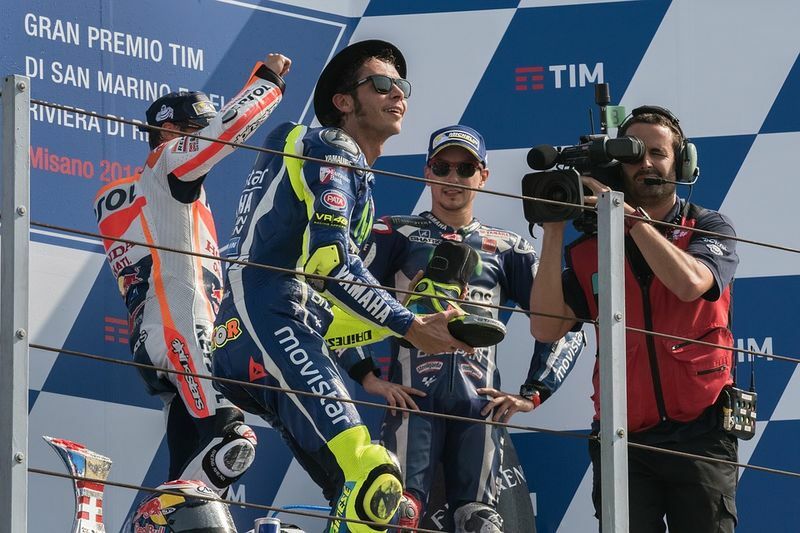 The Doctor is In: Is Valentino Rossi Moto GP’s GOAT? 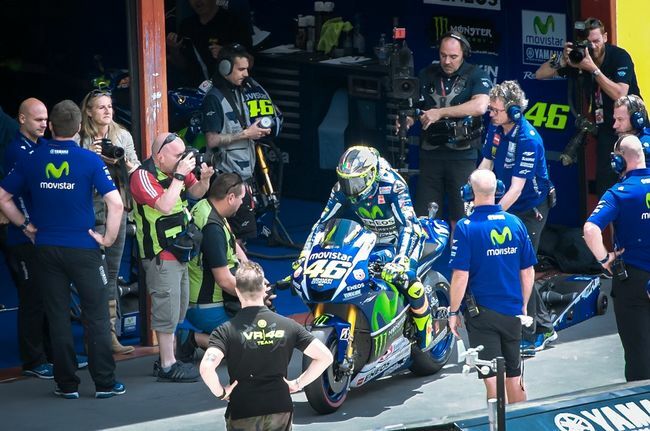 The Doctor is In: Is Valentino Rossi Moto GP's GOAT? It had to come sometime. Recently, MotoGP great Valentino Rossi announced that he intends to race for another two seasons before calling it a career. Despite his impending retirement at the conclusion of the 2020 season, Rossi continues to make podiums at the age of 40. 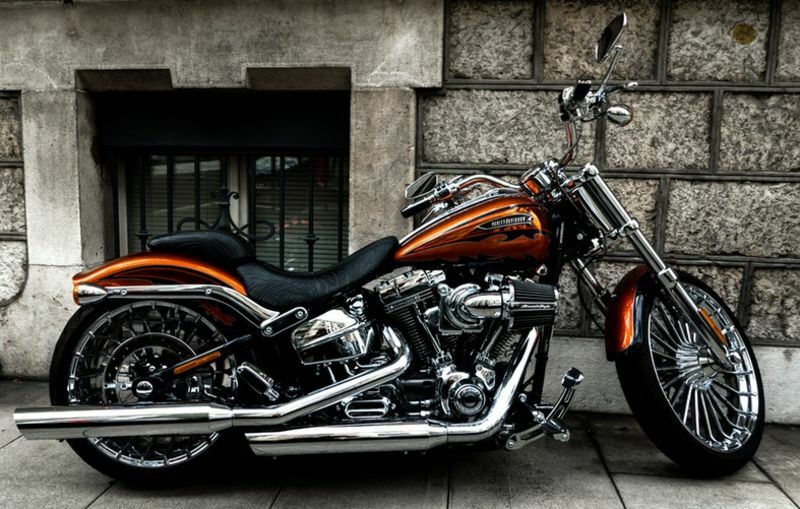 The man can ride, and his immortality is beyond reproach. They call him the Doctor, and Rossi’s nickname is apropos. A doctor, after all, must be the model of consistency. It isn’t good enough to be right most of the time. When doctors make mistakes, catastrophe can happen. The same is true for a rider pushing the envelope the way Rossi does. He must operate with extreme precision, maintaining a laser-like focus from laps one to done. Rossi has made his career on such consistent performance. Whether or not he was born to race, Valentino Rossi was born into racing. 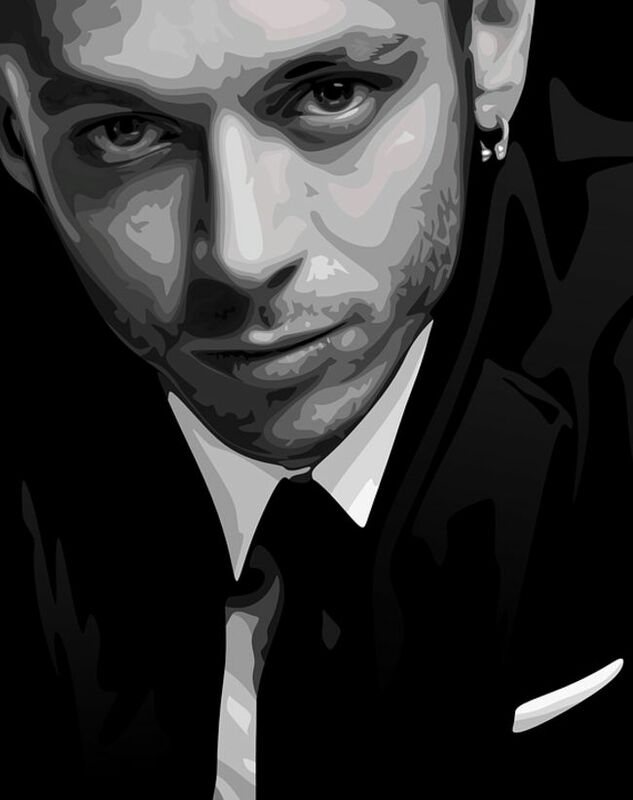 He was born in 1979 in the Marche region of central Italy. At the time of his birth, Rossi’s father, Graziano, was racing Grand Prix bikes against the likes Kenny Roberts, Sr. and Marco Lucchinelli. The elder Rossi won a few races in the 250cc class and placed sixth in 1980’s premier class. But injuries soon took their toll, and Graziano turned to raising the son who would become the Doctor. Valentino showed promise in kart racing, even winning a regional championship at the age of 11, but a move to motorcycle racing was inevitable. He began riding pocket rockets with minimoto, but by 1993 the little bikes could not contain the young virtuoso, so Rossi moved up to the two-stroke 125cc class. After a year aboard a Guido Mancini-built, Rotax-driven private machine, Rossi signed with factory Aprilia. It was on that bike Rossi would win the 1994 Italian 125cc Championship. Like many burgeoning racers, Rossi struggled to adapt in his first season as he moved up to Grand Prix competition. However, rookie mistakes turned into sophomore success for the quick-learning Rossi in 1997, as he won his first World Championship in the 125cc class. The learning curve during his freshman campaign the next year in the 250cc class wasn’t quite as steep as it had been in 125cc. He finished in second place in 1998 before winning it all in blowout fashion in 1999. Rossi was only 20 years old, yet he had achieved everything there was to achieve at the lower levels of Grand Prix racing. 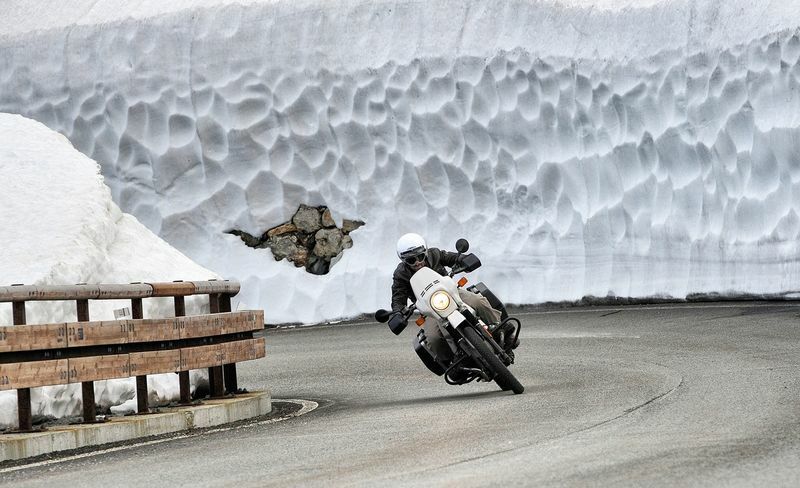 There was no other place to go but up, and that meant a move to the mind-numbing power of 500cc two-strokes. The young phenom set his sights on the premier class for the new millennium. As he prepared to make the switch, Rossi was courted by the biggest name in World Championship racing: Honda. Nastro Azzuro Honda was losing its star with the retirement of Mick Doohan, leaving a world class pit crew without a rider. Rossi stepped in and – under Doohan’s tutelage – set out to test his improving skill set against the best riders in the world. Making the jump to the premier class proves too much for most riders. At first, Rossi was no different. The 500cc two-strokes required a deft touch that the young Italian had to master, and it took some time. After failing to finish the season’s first two races, Rossi made his first podium in Jerez, Spain. He followed that result with another third-place finish two weeks later at Le Mans, then again a month later in Catalonia. Rossi was primed for a breakthrough performance. It was a typically cold and rainy day at Donington Park in central England for the ninth round of the 2000 Grand Prix motorcycle season. 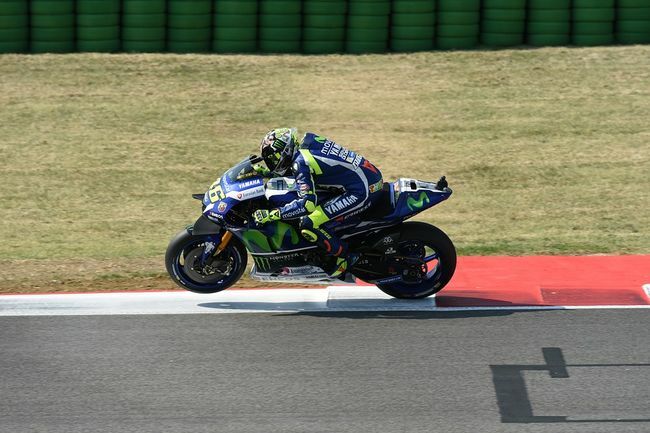 Rossi qualified in the fourth position, placing him on the outside of the front row to start the 2.5-mile circuit. Rossi blew the start, spinning out on the drenched surface and falling behind to 13th place at the hole shot. By lap three he was in seventh place. 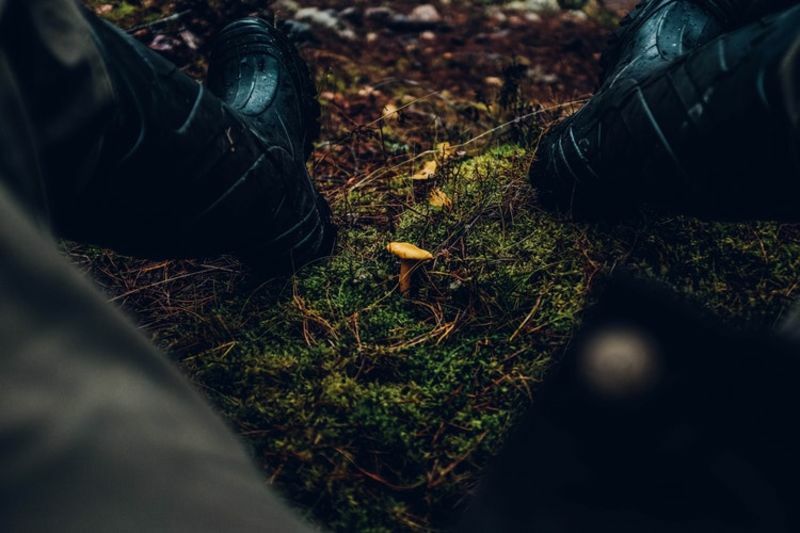 Rossi stalked. The riders ahead of him impatiently jostled for position, but he simply bided his time, executing his turns with precision. In the middle laps of the 30-lap race, Rossi began picking apart the opposition one by one. His late-braking prowess let him steal second position with a flick in the esses. He now had only American Kenny Roberts, Jr. ahead of him. Brit Jeremy Williams got into the mix, his lightweight V-twin Aprilia even pulling ahead to lead for a time. But Roberts’ Suzuki and Rossi’s NSR500 kept pace. The trio’s wet-tire treads cooked on the drying track, causing wobbly moments in each corner. Finally, Rossi used a thin dry strip of track to push Williams wide onto the wet outer area leading into a tight right turn, and he took the lead. It was a flash of the brilliance to come. Rossi held on to win his first premier-class race, following it up with another victory in October at Rio de Janeiro and a second-place overall finish in the 2000 World Championship. He would win 11 of 16 races in 2001 to easily claim the 500cc World Championship. Grand Prix racing changed drastically in 2002 with the adoption of the MotoGP name and the allowance of 990cc four-stroke engines in the premier class. These bikes went to the factory riders, while satellite teams were relegated to the suddenly outclassed 500cc two-strokes. Rossi threw a leg over the new Honda RC211V, and the season to follow would be one for the ages. Rossi won the inaugural MotoGP race in Japan, took second place in round two in South Africa, then rattled off seven straight premier-class victories. He would match his 11-win total from the year before, bettering countryman Max Biaggi, 355 points to 215. Rossi’s 2003 MotoGP season will likely stand as one of the finest efforts in the sport for as long as people race on two wheels. He finished every race on the podium, without a crash or a DNF to mar his year. His performance was so dominant, that by the time the Phillip Island track of the Australian Grand Prix – the penultimate race that year – came up on the calendar, the championship was a foregone conclusion. Ever the showman, Rossi couldn’t leave the fans without drama. During the Phillip Island race, Rossi received a 10-second penalty for passing under a yellow caution flag. He had obviously toyed with competitors to keep the fans interested throughout that season, but now Rossi took the kid gloves off. He absolutely dogged Phillip Island that day, winning the race by 15 seconds to easily overcome the penalty. The young Rossi was riding high with Honda, but a crack had developed in the sponsor-rider relationship. Whispers of his wins having resulted from the dominance of Honda’s RC211V – akin to the talk surrounding Giacomo Agostini’s career with MV Augusta – agitated Rossi. 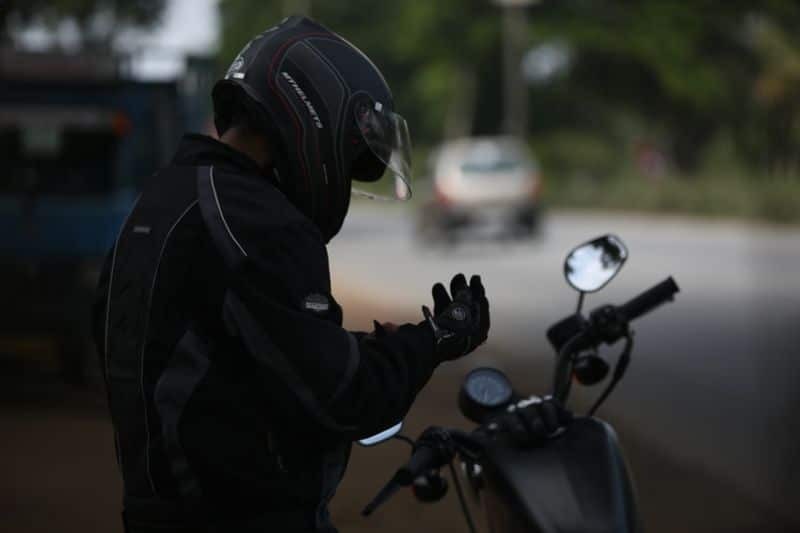 In the eternal debate of rider versus machine, machine seemed to be winning. Rossi set out to prove otherwise. In 2004 Rossi moved to Yamaha to ride a retuned YZR-M1. Team Yamaha had inked him to a $12 million contract, leaving the Italian wearing a target on his back. 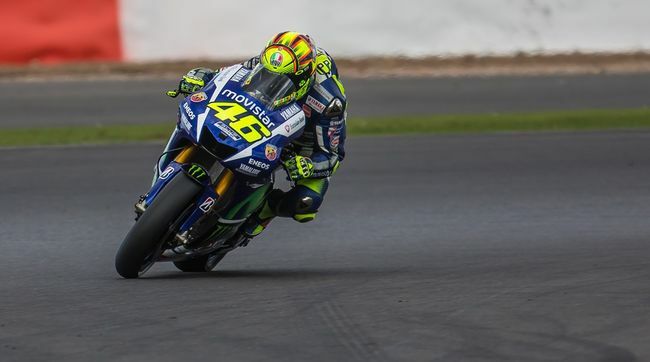 The Yamahas had struggled to compete in previous years, but Rossi took the first race of the season in South Africa and would win nine races and stand on eleven podiums that year. The rider-machine debate seemed – for that season at least – to be settled. He matched his high total for wins in a season in 2005, taking 11 races and winning his fifth straight World Championship. Rossi came back to Earth in 2006, though his season of struggles would be a career year for most riders. He bookended five wins with three retirements, trailing in the World Championship by as much as 51 points that year, but he clung to an eight-point lead for first over American Nicky Hayden at the start of the last race at Valencia. Rossi botched the start, though, holding fifth place to Hayden’s sixth place at the first turn. By the fourth lap, Rossi had fallen to seventh place and was pushing his machine to its limits with a wall of Hondas in front of him protecting Hayden, who was in second place. Rossi wrung what he could from his M1, but he slipped out on a hard left-hand turn, allowing Hayden to cruise to the World Championship. The 2007 season’s new 800cc engine-size limit saw Rossi exhibit his usual response to change. That season was for learning – with a fourth-place finish in the points totals – followed by another World Championship in 2008. The 2008 season also featured Rossi’s famous corkscrew dive against Casey Stoner at Laguna Seca in California. The race was only a couple laps old when Rossi, obviously put off by the challenge of the Australian legend on the Ducati, decided he would rather be in front. As the pair zipped down the five-story drop in the corkscrew section, Rossi straightened the exit on the final curve. 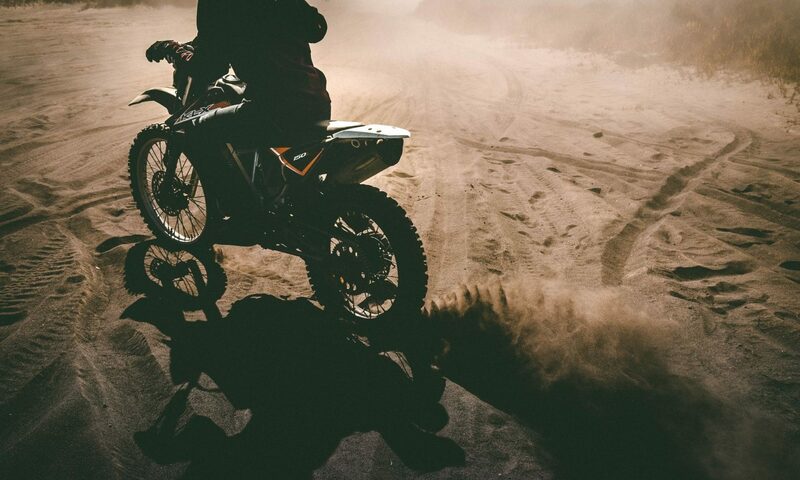 He crossed the dirt and back onto the track, barely managing to stay upright. The pair swapped paint on the exit, but Rossi led, finishing first to Stoner’s second. The 2009 MotoGP season would be the last in which Rossi displayed the dominance for which he had been known. The Fiat Yamaha team’s YZR-M1 proved unbeatable, with teammates Rossi and Jorge Lorenzo taking the top two spots in the World Championship points race. Rossi held the title for the seventh time, only one short of Agostini’s record of eight championships. A motocross accident and resulting ligament damage in his shoulder would derail Rossi’s 2010 season. Fiat Yamaha continued its success, though, as Jorge Lorenzo took the season title. The following season would usher in a brief era of excitement in Italian motorcycle racing. For the 2011 season, Rossi left Yamaha and inked a deal with Ducati. Rossi’s playing for the home team generated a lot of buzz in the Italian media, but it yielded little fruit. Mechanical issues plagued both Rossi and his new/old teammate Hayden, and the two finished seventh and eighth respectively in the points totals. The 2012 season was another debacle for Rossi and Ducati, and the relationship ended abruptly. Meanwhile, attention was turning to a new phenom who had absolutely owned Moto2 that year – Marc Márquez. Rossi was back on his old Yamaha for 2013, teammates once again with 2012’s champion, Lorenzo. Rossi managed one win – at the Dutch TT – but otherwise conceded the podium more often than not to Lorenzo and Honda’s Márquez and Dani Pedrosa. At the final tally, Márquez would clip Lorenzo by four points for the championship, with Rossi a distant fourth. The Doctor returned to form in 2014. Rossi and Márquez went toe-to-toe at seemingly every venue, but the youngster seemingly always came out ahead. If Rossi was brash, Márquez was more so. If Rossi took calculated chances, Márquez dove in with reckless abandon. Márquez took the title again that season, but Rossi had his number in 2015. However, Lorenzo wound up with the 2015 season crown, while Rossi finished five points behind in second place. The same trio of superstars duked it out all season long in 2016, but Márquez won the championship comfortably with a 298-point total. 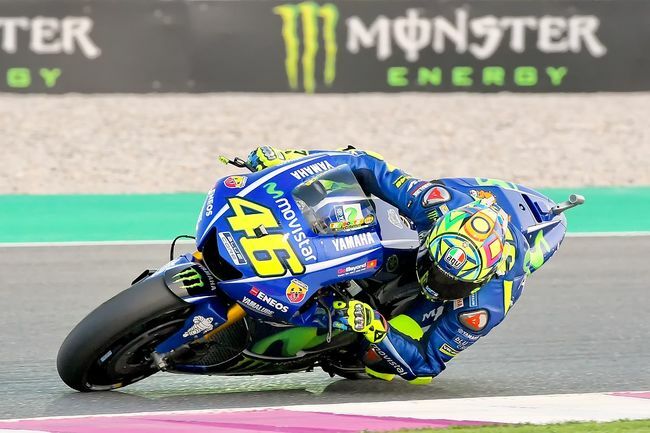 Mechanical issues crept up again for Team Yamaha in 2017, though Rossi did clip fellow Italian Danilo Petrucci by .063 of a second in June at the Dutch TT to become the oldest-ever MotoGP race winner. As of this writing, that remains Rossi’s best result to date, though he recently suggested he will continue racing until the conclusion of the 2020 season. At the midway point, he holds the second position in the season points totals, trailing Márquez by a considerable but not insurmountable amount. Should Rossi leak away over his final seasons, people may say, “That figures.” None of us, no matter how fast, can pull away from time. But if there is one thing the aging rockstar racer has taught the world, it is that he should not be doubted. There just may be a little bit of magic left in those titanium-mended bones. 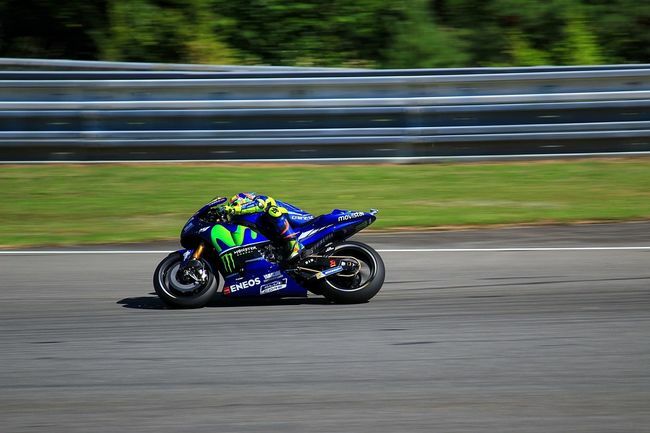 Rossi may not be a gambler off the track, but on the track he is a shrewd one. He plays his hand brilliantly, and keeps his cards face-down. He enjoys toying with other riders, and his relationship to his fans is equally playful. Which leads to the confusion surrounding his nickname, sewn onto his racing leathers: The Doctor. No one knows when or where the nickname arose. Suggestions of a definitive answer are iffy at best. Rossi does hold a degree, which certainly allows him to take the title of doctor. His preferred explanation is that his surname is a common one for doctors throughout Italy. Regardless of its true origins, it is a nickname that could fit no other racer – current or past – more than it does the venerable Rossi. His races are like operations. They are precise, with no margin for error. Of course, there is another nickname that Rossi gets referred to as from time to time. His races are so smooth that they can seem choregraphed, as though there was music playing that only he can hear. It is as if he is conducting a private symphony, and so he is sometimes called the maestro. That nickname is not sewn onto his racing leathers like The Doctor is. There is another patch that Rossi wears on his leathers, though. But we’ll let you look that one up. 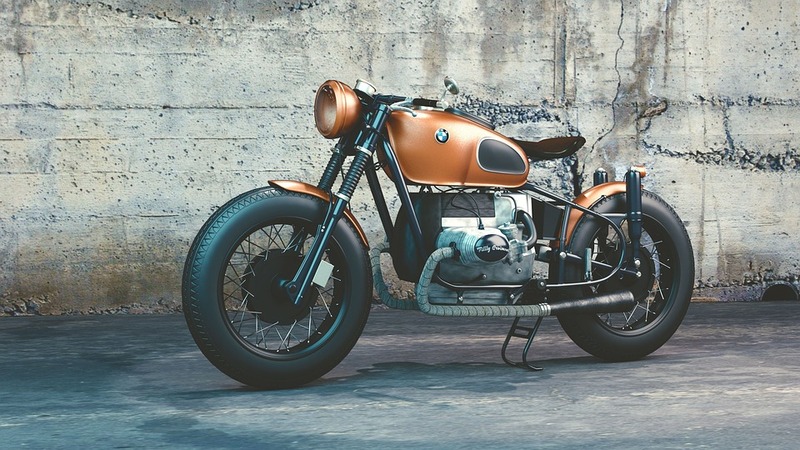 Your motorcycle tires are one of the most important safety components, and it's essential that they are in good condition. But when should you change them? 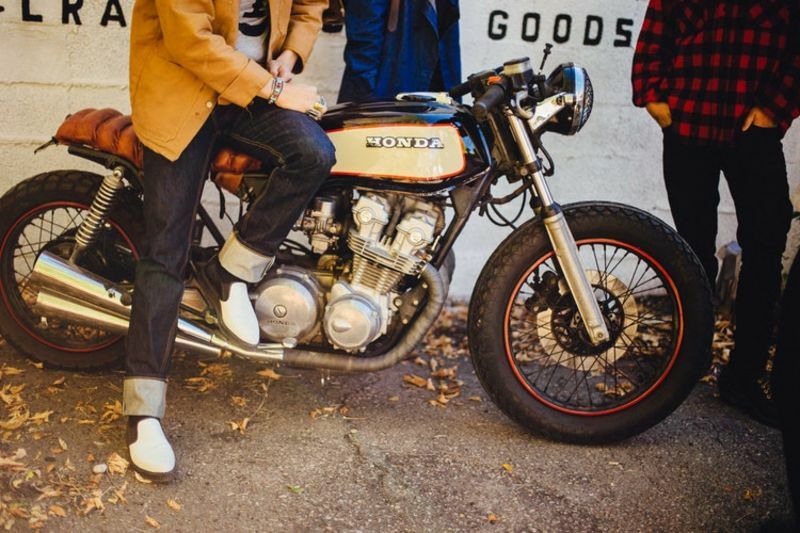 Previous PostPrevious Are Motorcycle Jeans Safe?